CHARLESTON -- At a meeting of the National Governors Association in Washington last winter, Gov. Joe Manchin was reportedly in the company of former U.S. Supreme Court Justice Sandra Day O'Connor who, the word is, shared unflattering observations about the reputation of West Virginia's courts. DiTrapano HUNTINGTON – From the wreckage of an immense class action against Columbia Gas Transmission, Charleston attorney Rudy DiTrapano has picked up just five little pieces. McGraw WASHINGTON-A coalition of 22 state attorneys general, including West Virginia Attorney General Darrell McGraw, are asking Congress to loosen U.S. bankruptcy rules so judges can modify home loans to help reduce the tide of home foreclosures. We may never know how many hours each lawyer worked on the case. Starcher CHARLESTON – To the end, the old West Virginia Supreme Court of Appeals worked hard at making decisions. And former Justice Larry Starcher worked hard at disagreeing. MARTINSBURG -– A Baltimore-based company has filed suit against Destiny Baptist Church and five of its trustees, alleging they did not perform all of their obligations after selling real estate to the company. CHARLESTON – Former Ameribank Vice President Bonnie Robertson of Thorpe, who accused the bank of discrimination by age and gender in McDowell Circuit Court, must now seek damages from a federal agency in federal court. Benjamin CHARLESTON -- The state Supreme Court will begin the Spring 2009 term with a little pomp and circumstance. Ketchum CHARLESTON – What did the state's newest Supreme Court justice do on New Year's Day? CHARLESTON – As a result of his sudden death, the state Supreme Court has dismissed a petition for contempt the state Bar was seeking for a Charleston attorney's failure to comply with the terms of his 2007 disciplinary action. 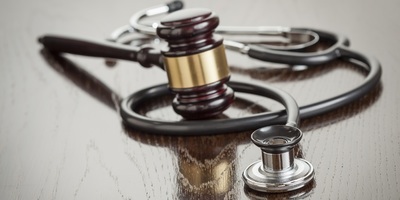 Musgrave CHARLESTON – The state Supreme Court has sanctioned a Point Pleasant attorney for mishandling the proceeds of a settlement awarded to a Mason County physician five years ago. Rose CHARLESTON -- West Virginia Senators Robert Byrd and John D. Rockefeller IV have recommended Charleston lawyer Herschel "Ned" Rose II and Kanawha Circuit Judge Irene Berger to two federal judgeships.